If you are a shop owner, which sells a variety of products you need to keep track of the stock to avoid any mishaps or miscalculations that would result in losses. 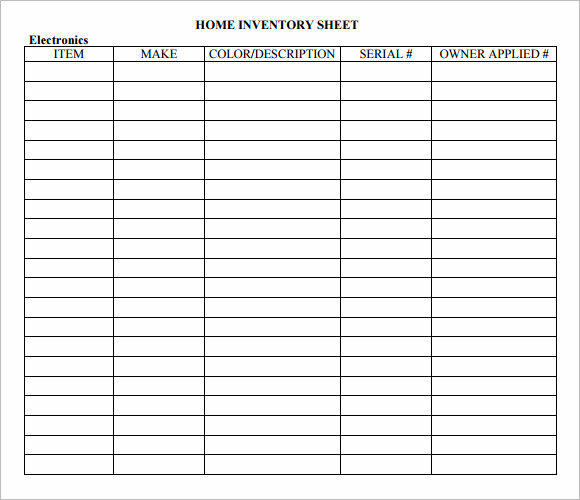 For this purpose we have designed the perfect, ready to use and custom made inventory, Sample Inventory Sheets. These example templates come in multiple formats and with the option to add stock details, stock weight, number of goods and other important information. Select the and download the free sample that suits your requirement, fill it in, print it out and keep it handy when tallying your stock at the end of a quarter. 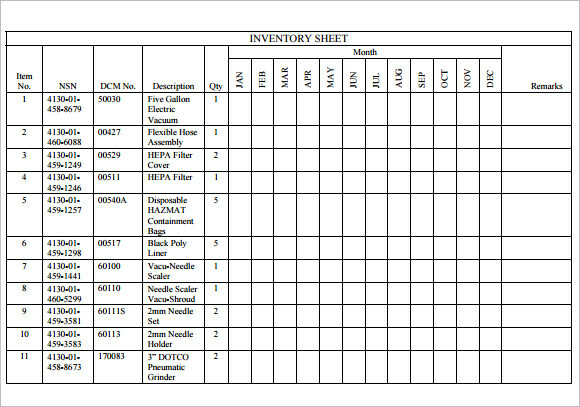 The blank inventory sheet in word has a total of seven columns. The columns are, inventory number, description of items, serial number, date acquired, vendor or lessor, cost and estimated cost. This sheet is good for maintaining equipment in the storage. It gives an idea about the cost that the company is going to has incurred. 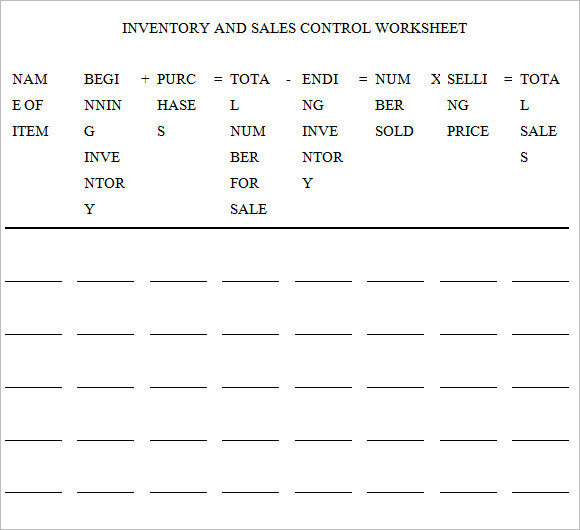 The inventory and sales worksheet is a clean sheet of inventory accumulation and storage. 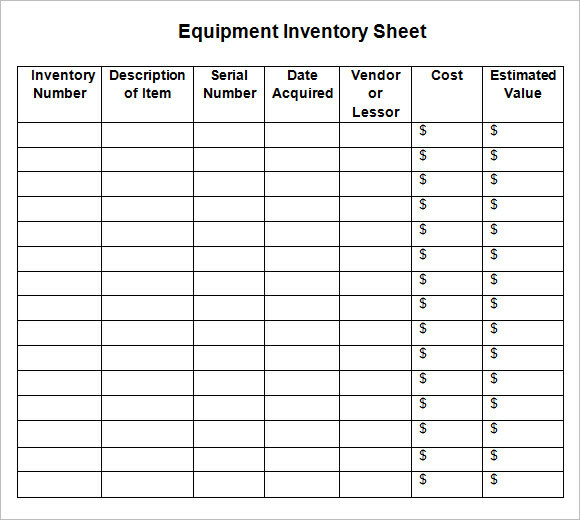 The first column contains the name of the item followed by beginning inventory and purchase which comes down to total number of sale minus ending inventory. Then comes number sold multiplied by selling price which derives total sale. 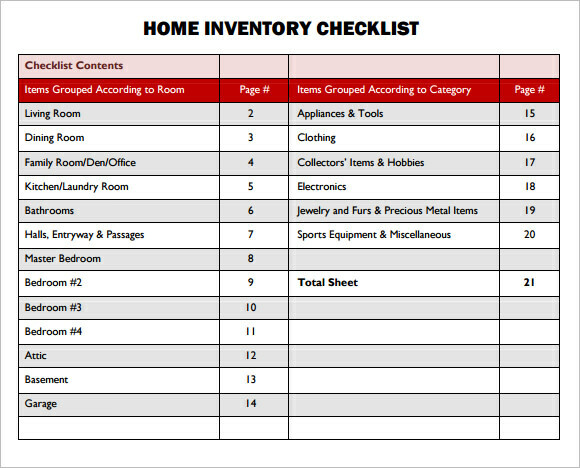 The home inventory checklist is appropriate for the maintenance of the home. This is a compilation sheet of the whole inventory book. You can check which room stock is listed in which page. The page is well organized and can help people keep note of things. The sheet can be completely blank one with the logo of the company in the right hand top corner. The heading is activity inventory followed by the name of the product. 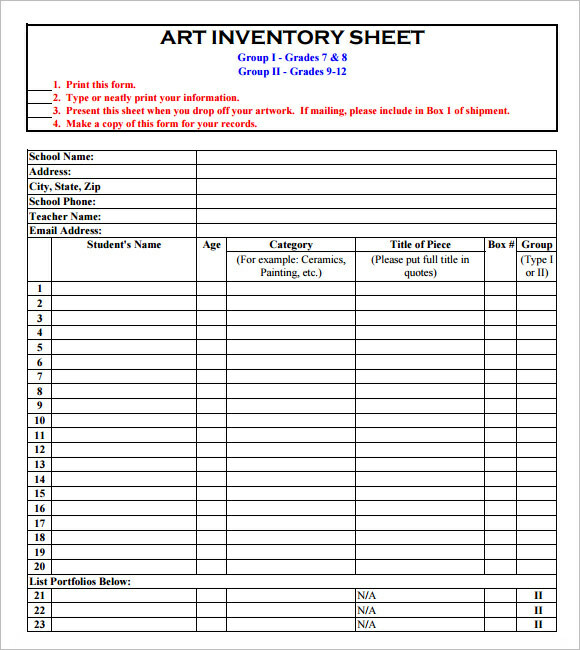 The sheet has three columns for writing the details of the inventory. 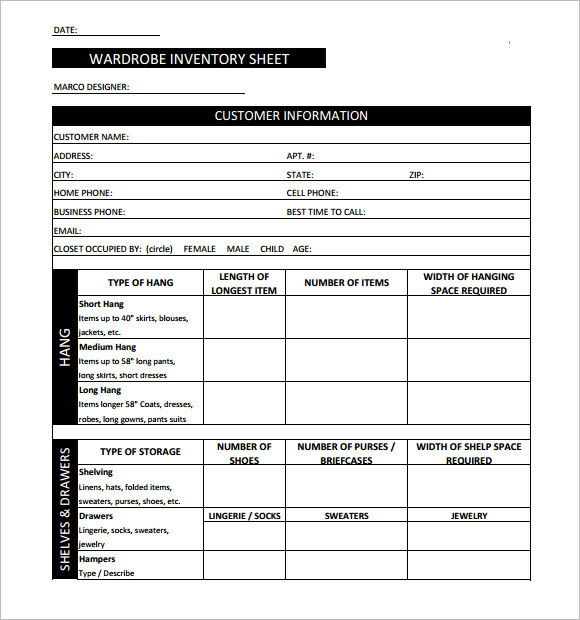 While making a sample inventory sheet, the first thing you need to keep in mind is what kind of items you are trying to sort. Make the columns accordingly. The headings shall be appropriate in order to make the process easy. The number of columns must be just what you need. Don’t list unnecessary things or don’t omit heads that are necessary. The sheet shall not be too clumsy or else you may not have the patience to look through it. 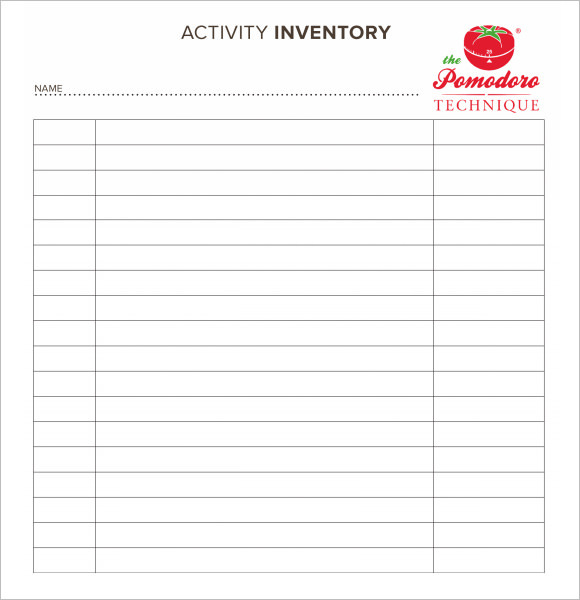 The sample inventory sheets are easy to use and they are convenient too. The website gives an opportunity to download the sheet for free. They are available in word and PDF, two of the most suitable format for downloading. The sheets can be used for different purposes.